I didn't post anything yesterday because I know you'd all be busy visiting your loved ones in their forever resting homes. 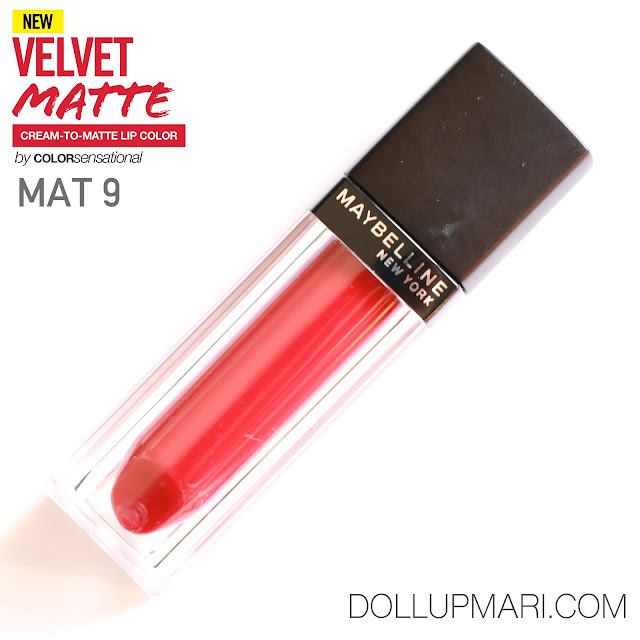 But today we resume regular programming, and this time I'm here to give a review over Maybelline's Velvet Matte in Mat 9. Of all the shades, this is what I'd call the neutral red. It's not coral like Mat 5, nor is it orangey like Mat 8. It's also a far cry from the bluish undertones of Mat 11. So it really is more of the neutral red one. But the catch with this one is your application method. 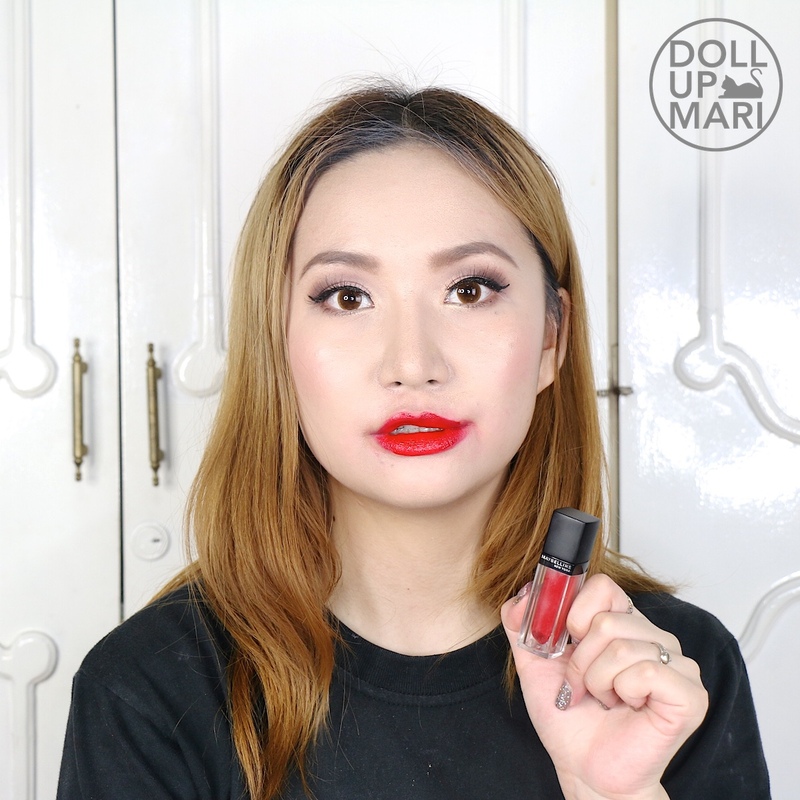 You need to know how to blend it in so that it'd be matte and not glossy. When I swiped this onto my arm, I thought that if I gave it enough time, it'd matte up. But well, it didn't. 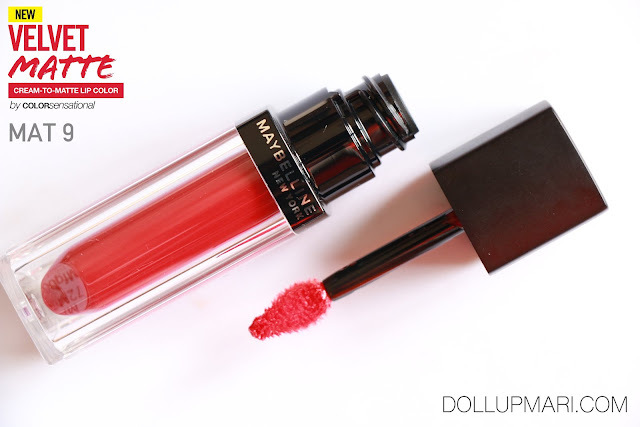 So on the lips, be sure to apply just a small amount, and just blend it until it's settled in. 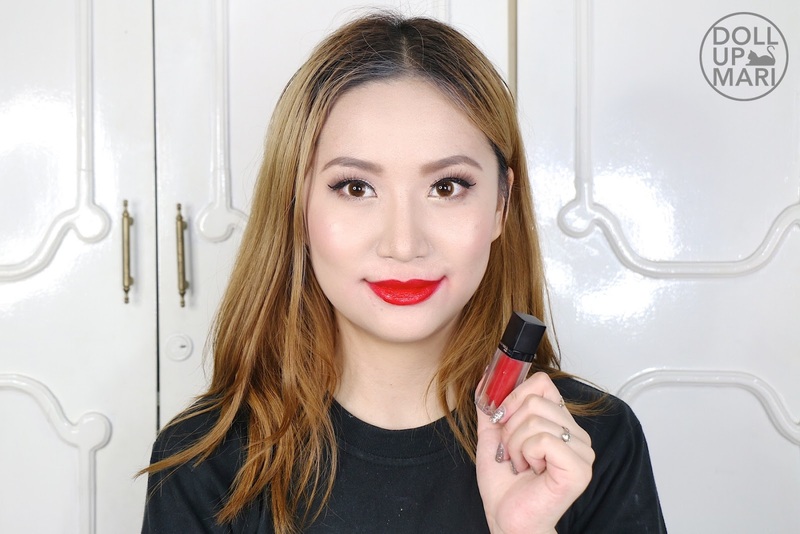 I applied too much of the product in this photo, and while the same amount has worked for other shades like Mat 11, it didn't work the same way here. I re-applied this on another occasion, and it did appear matte. But I applied much less product in that other occasion. This formula is a little bit more sheer than Mat 11, which is why it's more prone to glossing up when applied in copious amounts. But I guess that's good news because you can actually have a matte lippie and a colored gloss with this one! It all depends on how much you apply and how much time you spend blending it in. But I like the way it makes the teeth seem whiter. 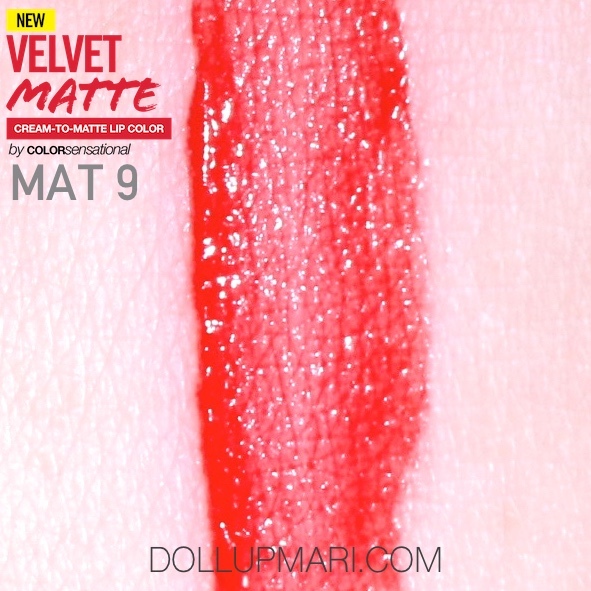 Since this is also a neutral red, I feel that this will be a universally flattering shade, save for very very yellow skintones, which may not sit so well with it. But even then, I still feel that this will look flattering on most people. 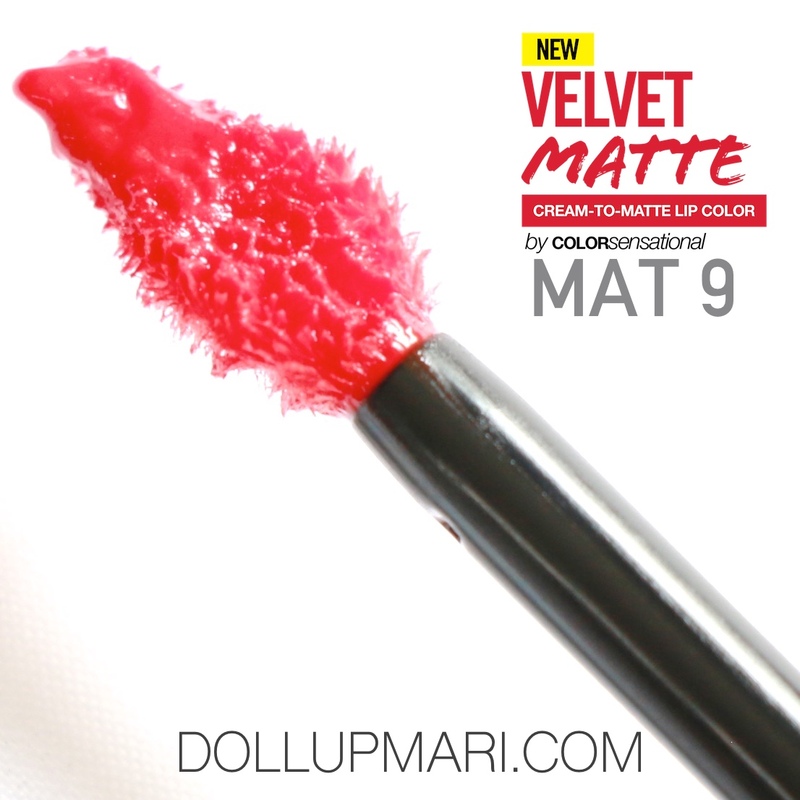 Just like all other Velvet Matte shades, this is very comfortable to wear. And when it's applied so thickly like this, it's even more comfortable because it's like I have lip balm on.